Well, the year is almost over, and that means it's time for us to reflect on our favorite books that have been published this year. We'll be posting some more extensive lists of our top picks, but for now, enjoy this selection of our favorite books in 2012 from our contributors. Check out our selections below! I find it impossible to compare books for adults to books for teens and books for kids, so I'm going to cheat. 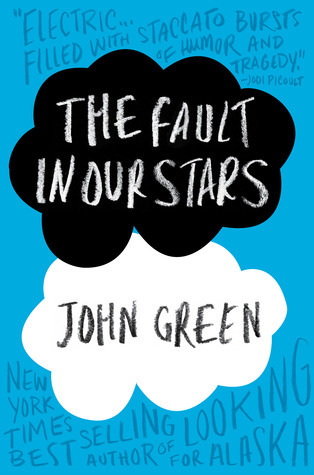 My favorite YA books from this year are THE FAULT IN OUR STARS by John Green and CODE NAME VERITY by Elizabeth Wein, both of which I've talked about at length on this site before and neither of which I can say anything more about without spoilers. Just—READ THEM. READ THEM NOW. My favorite middle grade book is WONDER by R. J. Palacio, which I love so much I think every adult should read it. Sometimes I lurk by the middle grade section of bookstores and hand-sell it to random people, despite the fact that I don't work there. And my favorite book for adults is WILD by Cheryl Strayed, which is a memoir of her time hiking the Pacific Crest Trail by herself with zero hiking experience. I am totally in awe of both what she accomplished and the way she wrote about it. No matter what I do with the rest of my life, I am quite certain I will never be as badass as she is. Shadow & Bone is my #1 pick for this year's reads. I'm featuring it next week on my blog with my year end favorites. Leigh Bardugo has crafted a masterpiece with Shadow & Bone. It's a flawless story that's rich in romance, action, magic and has all the right Fantasy elements I love in a story. If you love romance, you will LOVE the romances in this story! WOW!! I am completely addicted to Leigh's writing and this series. I'm craving more..... I can not wait to get my hands on Seige & Storm. 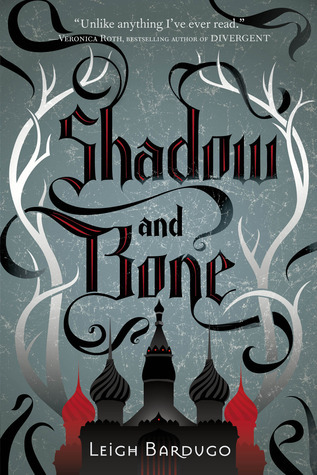 If there's only one book you're allowed to pick up from this year, make it Shadow & Bone! You will not be disappointed. You can read my full review here. For me the best book of 2012 was one that I expected to really blow up, but it never seemed to get the momentum I thought it deserved. AFTER THE SNOW by S.D. Crockett. Willo's world is a frozen place where barest hints of life before the oceans broke are bound between the pages of a book. His father raised him to be the light, a beacon of hope and self-sufficiency in a place where people are easily controlled by the promises of food and warmth. The cities teem with the grog-addicted masses who are unable to care for themselves, while the efficient people who eek out a quiet life in the country are considered outlaws who will not conform. Willo has heard his father's lessons of hope and peace his whole life, but a stronger voice overrides them. The wild dogs of the icy countryside look after themselves and Willo's survival instinct speaks in their terms, telling him to remain number one in his own mind at all costs. The dog-voice has saved Willo more than once in the wilderness, but when Willo's father and siblings are taken away in a raid, he has to decide whether self-preservation super-cedes their bonds. 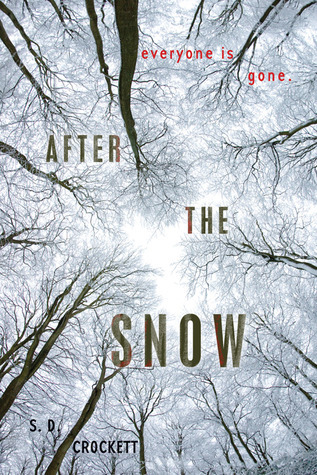 AFTER THE SNOW is an incredible debut about survival and human relationships, the choices we make that define who we are, and the internal struggles that we all face, whether we acknowledge it as dog-voice or Ego. Willo's voice is deceptively simple, a refreshing POV in which to question the murky depths of human nature. My pick for this week is Leigh Bardugo's Shadow and Bone. I blabber on and on about the book here, but I will say this- this book is pure perfection. It is fantasy and has an awesome romance (two of them actually), action, intrigue, and stinking awesome super powers! I cannot WAIT for Seige and Storm! I have contemplated breaking into the Macmillan building, grabbing an ARC of it and hiding in a closet, but I do have children to think of ;) If you haven't read this book yet.... for shame! Now put down your computer, Iphone, or tablet, and GO READ IT! This was an easy pick for me. From the very second that I finished the book -- and immediately flipped back to the beginning to read it all over again -- until now, all these books later, Code Name Verity has been a stand-out. It's probably catapulted itself onto my list of favorite books ever. I wept over this book, I flipped pages in the dead of night, I missed getting off my train for work because I was so engrossed in the story. Even if you haven't read the book, you've probably heard that it's one that is best to go into absolutely unspoiled, so it's hard to talk about it, other than to say that I want more books like this: celebrations of strong women doing extraordinary things under extraordinary pressure, women who are friends, who support one another, without gross jealousy or backstabbing or interpersonal drama. At the heart of it, this is a story about enduring friendship, and an utterly irresistible one at that.